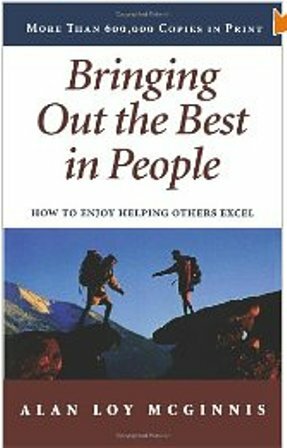 The book Bringing Out the Best in People is a very powerful book for leaders in the business world today. It explains twelve different techniques one can use to develop himself/herself into a great leader. Of the twelve rules, the three that stood out the most were the following: Rule #1 – Expect the best from the people you lead; Rule #3 – Establish high standards of excellence; Rule #7, Recognize and applaud achievements. Rule #1: Expect The Best From The People You Lead. This rule is especially important in developing a strong company or working environment. When a leader expects the best from his/her subordinates, they begin to expect the best from themselves. As the book states, leaders should not manipulate their employees to obligate them to do their best. Leaders should recognize employee’s abilities and needs and help motivate them. When I wrestled in high school, my coach always expected the very best of my teammates and me. This motivated me to exercise and push myself to the limit of my physical capacity in order to do my best. Expecting the best from people establishes high standards of excellence, and when done properly, develops a great bond of trust between the leader and subordinate. Rule #3: Establish High Standards of Excellence. When the leader expects the best from their followers and set a high standard of excellence, the leader will be the best at what they do. Once the standard has been set, the leader must lead by example to provide direction for the employees. As the book states, in cases where the employees don’t live up to the standard, an occasional reprimand is necessary followed by an increased measure of love. Once the reprimand has occurred, the leader must show the employee the correct behavior to meet the standards in order to change the behavior. Rule #7: Recognize and Applaud the Achievements of Your Followers. In order to promote Rule #1 and #3 successfully, a leader must applaud the employees regularly. There are several ways to applaud the achievements of others. It can be done with a small compliment or through awards. It is, however, essential that the leader set specific attainable goals. When the goals are obtained acknowledgement is very important. When I studied engineering as an undergraduate student, I worked very hard to get good grades and perform well in my classes. Towards the end of my junior year, I was recognized for outstanding academic achievements and nominated to be a delegate of engineering for the International Scholar Laureate Program. Receiving this recognition gave me the desire to work harder so I could continue to be successful throughout my life. Rules #1, #3, and #7 have helped me to be successful in my life, both as a leader and employee. As you strive to develop skills related to these rules, you will be a better leader and follower. You will also be able to create better and/or more opportunities for yourself and those whom you lead. Expecting the best from people, setting high standards, and applauding the achievements that follow will lead to a pattern of success and accomplishment. « Don’t Stop Learning Leaders!